Use our Lead Registration Wizard to choose the lead capture strategy that works best for you. 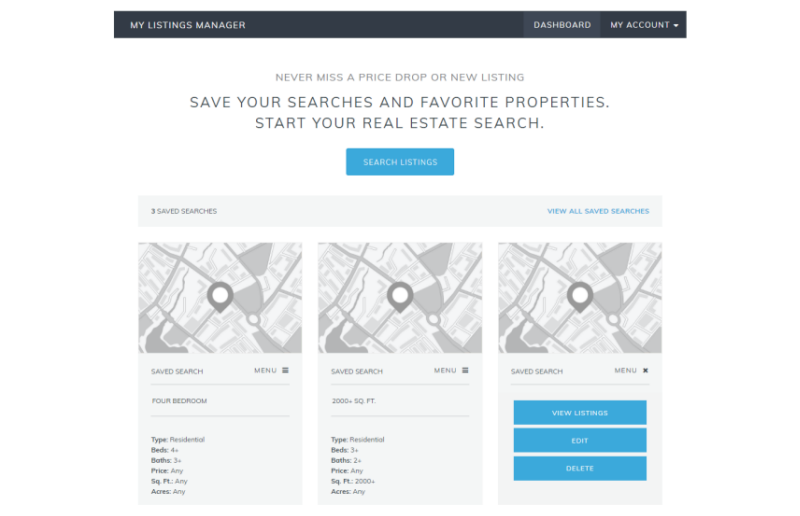 Site visitors can Request Property Information and Schedule Showings directly from property detail pages. Your leads can opt for Lead Login to access their own IDX Broker Listing Manager. Visitors can register to receive Custom Email Updates about their favorite properties. 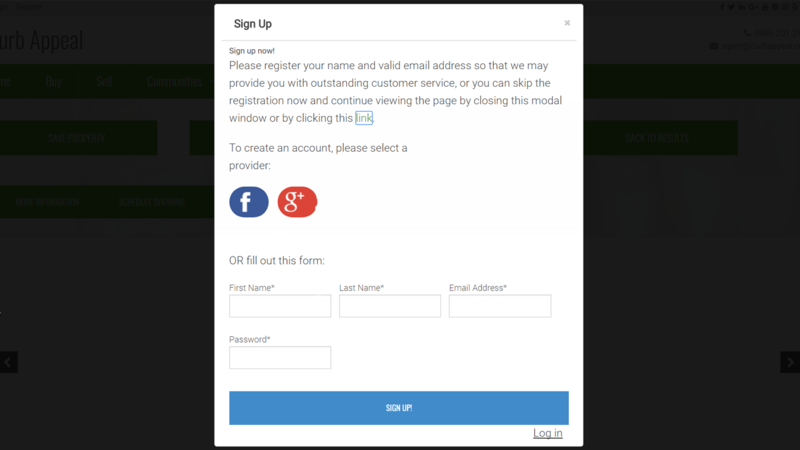 Enable Social Media Logins for simple one-step and authentic lead capture.